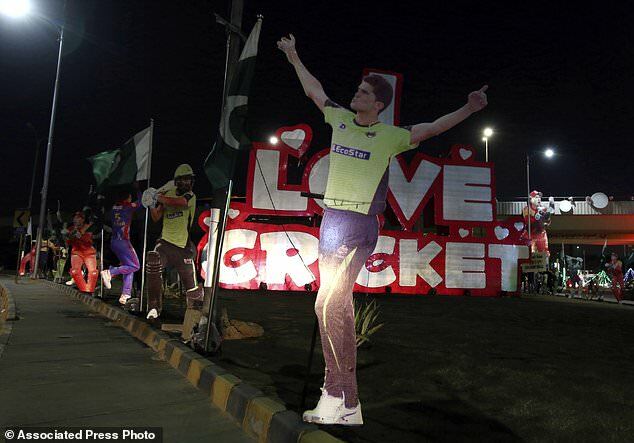 Web Desk: Pakistan’s biggest city Karachi is all set to witness some of the biggest stars in international cricket over the next nine days as the last leg of Pakistan Super League (PSL) begins on Saturday. On social media, many celebrities are welcoming the cricketers in Karachi for Pakistan Super league matches. Mahira sharing the photo of Sharah-e-Faisal decorated with the portraits of national and international players of the PSL2019, tweeted, “So happy to welcome all the international cricketers to my city Karachi. “Can’t wait to watch cricket on Pakistani grounds. Let the games begin,” she continued. Shaniera Akram, the wife of former Pakistan skipper and incumbent Karachi Kings president Wasim Akram, took to Twitter to welcome the international cricketing stars who are coming to Pakistan for PSL 4. “Today, some of the world’s top cricketers step on to our soil, not just to play cricket but to show the world that Pakistan is worth it,” she said in a tweet.